With Syrian troops encircling the city of Hama, Barack Obama's administration and its European counterparts continue to hold out hope that Syrian President Bashar al-Assad can be coaxed into accepting a peaceful transition to democracy. Instead of joining the protesters in demanding Assad's resignation, the U.S. envoy to Damascus, Robert Ford, is encouraging prominent dissidents to hold a dialogue with the regime. Unfortunately, there are no plausible circumstances under which a democratic transition would constitute a rational choice for the embattled dictator, and it appears exceedingly unlikely that the Syrian people will peacefully accept anything less. The Syrian people's fight for freedom promises to be long, uncertain, and violent. Alawite solidarity renders the loyalty of the internal military-security apparatus nearly inviolable, enabling Assad to mete out a level of repression far beyond the capacity of most autocrats. The bloodiest government reprisal during Poland's long struggle for democracy -- the killing of nine Solidarity strikers in December 1981 -- would make for a very placid Friday afternoon in today's Syria, where over 1,400 have been gunned down in less than four months. Egyptian President Hosni Mubarak's police quickly disintegrated under comparable strains, while his army engineered his downfall in less than three weeks. The powerful stigma associated with Alawite hegemony over a majority Sunni population both necessitates and enables this police state. While the sectarian identity of Assad and his chief lieutenants is not the primary grievance of most Syrians, a substantial minority -- perhaps 10 to 20 percent, mostly religious Sunnis -- loathe the regime so deeply that they cannot be co-opted and will exploit any respite from repression to mobilize against it. This feeds into the existential insecurities felt by most Alawites and makes it nearly impossible for the regime to safely liberalize. A straight-up transition to democracy under these circumstances is difficult to fathom. A freely elected Syrian government would surely be dominated by Sunnis, responsive to their demands, and therefore strongly disposed to mete out harsh justice for the preceding decades of brutal tyranny. Assad could never rationally accept such a transition unless his regime was on the verge of collapse, by which time a peaceful transfer of power would be exceedingly unlikely. Other countries have solved this conundrum by negotiating an agreement whereby an autocratic regime consents to free and fair elections, in exchange for the opposition's acceptance of limitations on the new government's authority to punish or dispossess existing stakeholders. By drawing into the process those who have the power to disrupt a peaceful transition, extrication pacts have propelled robust democratic breakthroughs in such thorny political climates as apartheid South Africa and Gen. Augusto Pinochet's Chile. A "pacted" transition requires that a critical mass of the ruling elite come to prefer "democracy with guarantees" over the costs of continuing to forcibly monopolize power. Elite beneficiaries of authoritarian rule range from soft-liners, who have the fungible assets and limited criminal liability to make it in the "real" world of democracy, to hard-liners, who don't. When there is a decline in the regime's ability to forcibly ensure continued public quiescence, soft-liners have growing incentives to hedge their bets by seeking a political accommodation with the opposition. Unfortunately, Assad is a hard-liner. Under the present circumstances, he can count on solid Alawite backing, strong support from other religious minorities, and the acquiescence of many Sunnis who are prosperous, staunchly secular, or militantly anti-Zionist. These allegiances, however, would quickly evaporate in a democratic Syria. Absent the looming threat of catastrophic domestic upheaval, a regime-less Assad family may not even command majority support among Alawites. In contrast, the livelihoods of most Syrian civil servants, businessmen, military officers, and others who benefit inordinately from the current order -- a broadly multi-confessional elite -- would not necessarily be threatened by a negotiated transition to more representative government. In contrast with Mubarak's Egypt, however, soft-liners have not been allowed to gain autonomous power within the state -- their ability to comfortably inhabit a post-authoritarian Syria puts them squarely outside the Assad family's circle of trust. The president's extraordinarily thin base of popular support and uncertain relations with soft-liners militate against a pacted transition. Whatever formal guarantees of immunity and institutional prerogatives Assad might eke out of the process, his acute political vulnerability will make it very risky for him to linger very long in a free Syria. Even Pinochet, whose sympathizers captured 40 to 50 percent of the national vote for many years after his departure, found that democratic republics eventually tire of honoring their prenatal promises to powerless ex-tyrants. Even if Assad were amenable to a deal, a pacted transition also requires that the regime and the opposition be capable of making credible commitments to each other. Outgoing autocrats must have faith that their erstwhile adversaries will hold up their end of the bargain after the tables have turned, while opposition leaders must have reason to trust that the regime will not renege on its commitments once the threat of mass popular mobilization has receded. Neither condition exists in Syria. Years of state repression have left the country with no organized opposition of sufficient stature to credibly promise anything to the regime, while Assad's failure to honor past reform pledges makes most Syrians very skeptical that he can take bold action. There is no easy fix to this impasse. Transition experts ordinarily prescribe an extended period of negotiated liberalization to cultivate credible opposition interlocutors and restore a measure of public trust in the government. For Assad, however, such an opening would not be sustainable unless radical opponents of the regime refrain from exploiting it to mobilize in pursuit of revolutionary change. So long as the regime is shooting people, no one in the opposition has enough clout to clear the streets. Although the credibility gap between Assad and his adversaries can be narrowed by negotiating under the auspices of an outside arbiter (Turkey is now angling for the role), the Syrian president would still have to take radical and irreversible steps to signal his commitment to change. At a minimum, this would include negotiating under international auspices, releasing all political prisoners, and expelling notorious human rights offenders from government -- starting with his brother, Maher, the feared commander of the Republican Guards and the Syrian Army's 4th Division. Attempting such a break with members of his family, clan, and sect would be an act of political hara-kiri for Assad, leading at best to a dignified exile (and considerably worse if his plan should go awry). Thus far, he has displayed little predilection for self-sacrifice. Assad's recent efforts to organize a "national dialogue" underscore that he isn't seeking credible commitments from his opponents. The select group of dissidents allowed to attend a conference in Damascus last week conspicuously excluded figures with significant influence over the protesters. The Syrian president isn't trying to negotiate with his opponents -- he's trying to divide and defeat them. 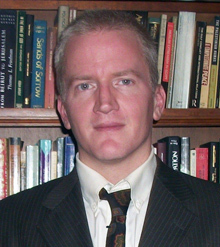 Gary Gambill is a political analyst who has published widely on Syrian and Lebanese affairs and is general editor of the Philadelphia-based Middle East Forum.